It is an adaptation of the novel called Atlas Shrugged written by Ayn Rand which will be the sequel to Atlas Shrugged: Part II, 2012 follows the story right where its predecessor ended. David Kelley, the founder of The Atlas Society and an expert on the philosophical aspects of Atlas Shrugged, help in the script, just as it did in the first two parts. 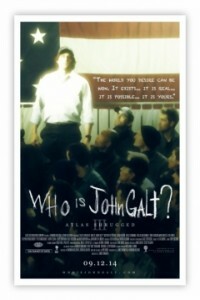 Title: Atlas Shrugged: Who Is John Galt?